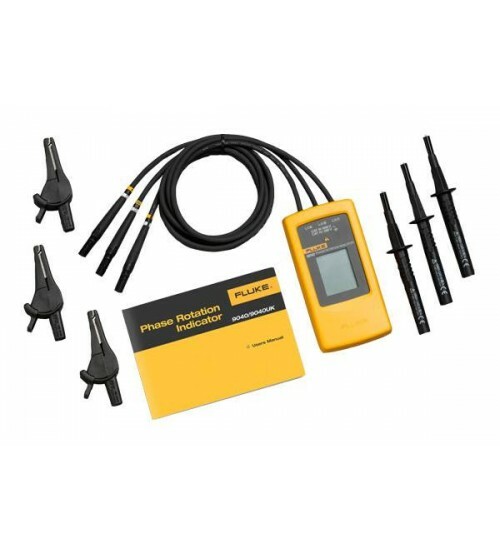 The Fluke 9040 is effective for measuring phase rotation in all areas where three phase supplies are used to feed motors, drives and electrical systems. 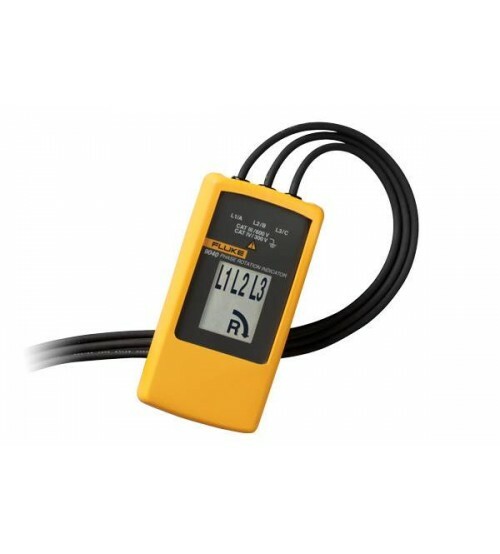 The Fluke 9040 is a rotary field indicator and can provide clear indication of the 3 phase via an LCD display and the phase rotation direction to determine correct connections. It allows rapid determination of phase sequence and has a voltage (up to 700 V) and frequency range suitable for commercial and industrial applications. The included test probes have a variable clamping range for safe contact, also in industrial sockets.